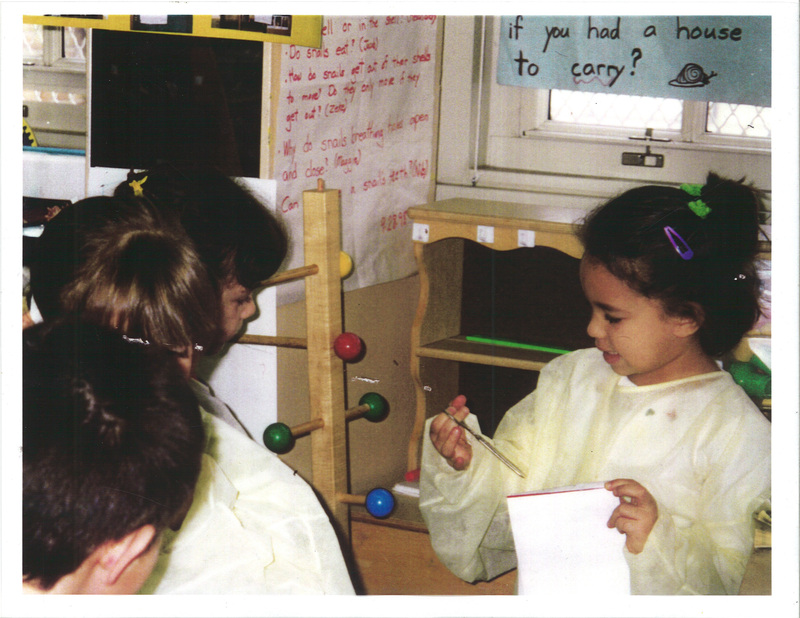 Some years ago, my daughter visited my kindergarten classroom during Choice Time. As she looked around the room, she observed the children at their various activities. 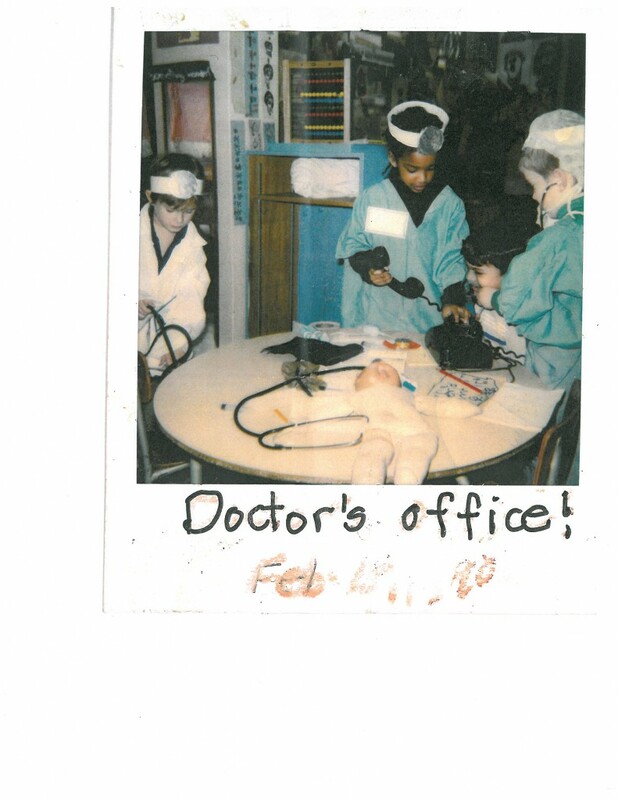 One group was setting up a pretend doctor’s office in the dramatic play corner. 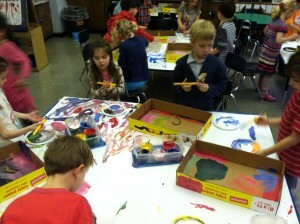 At the art center, children were constructing spaceships from toilet paper rolls and egg cartons. 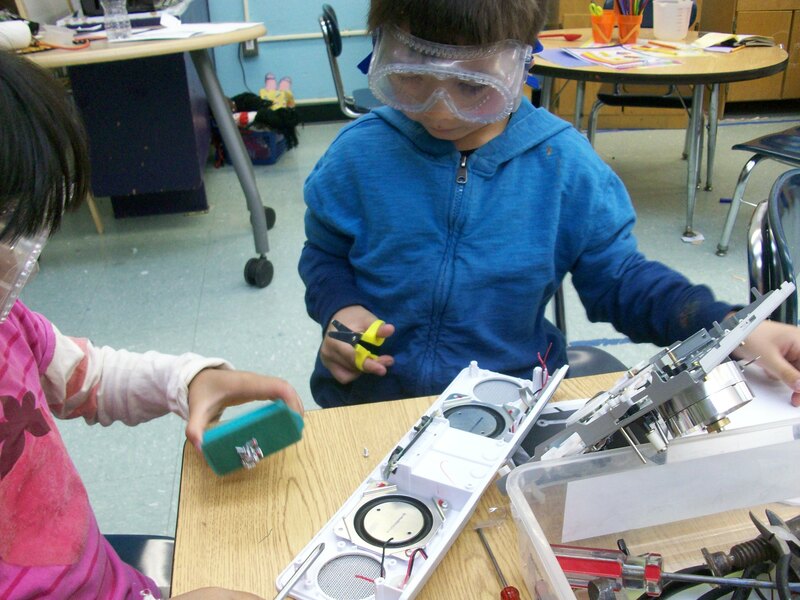 Four children, wearing plastic goggles, were using screwdrivers and pliers to take apart a broken telephone; two children were busy at the water table constructing a water machine with plastic tubing and funnels. Simone seemed fascinated by the life of the classroom. “Whenever I come into your class at Choice Time, I feel like I’m walking into The King of Hearts she said, referring to a wonderfully magical film, a family favorite. The story takes place in a small French village during the First World War. After hearing news of an oncoming invasion, the villagers quickly fled to the countryside, accidentally leaving the gates of the town asylum unlocked. The innocent residents walk around the empty town in a state of wonder and amazement. They take over the jobs of the absent villagers, understanding some aspects of each role, but adding their own, highly serious, sometimes comical, interpretations as they attempted to recreate life in the outside world. 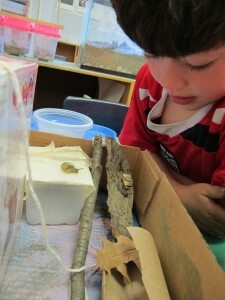 Kindergarten children are also filled with a sense of wonder and amazement. When they have the opportunity to self-direct their activities at Choice Time, they are attempting to make sense of the adult world. If we listen closely to their conversations and monologues, we can become privy to many of their understandings, misunderstandings, and questions. Unfortunately, Luca’s father is in jail. Luca doesn’t ever speak about this. Not with me. Not with his friends. Not with his mother. He keeps his feeling hidden deep inside. Somehow, in his play with Karl, he found a safe outlet for expressing his fears and concerns. He found a way to make the experience of being incarcerated safe for his father and less threatening for himself. Choice Time is Playtime. Playtime is Work time! The children think of the hour in the day that I call Choice Time, as their playtime, I know that it is so much more. When I plan centers, I keep in mind these big goals: children should develop independence and self-confidence; centers should be ‘open’ enough to allow for children making interdisciplinary connections and developing personal inquiries; opportunities for using reading, writing and mathematics for natural and authentic purposes should be available in each center; the activities should allow children to work out social conflicts within a safe, protective environment and support their ability for developing positive social skills. A high-standards kindergarten curriculum, should include opportunities for children to develop reading and writing skills. These are sometimes taught using the structure of reading and writing workshops. There’s time for word study, read – aloud , and mathematical instruction. 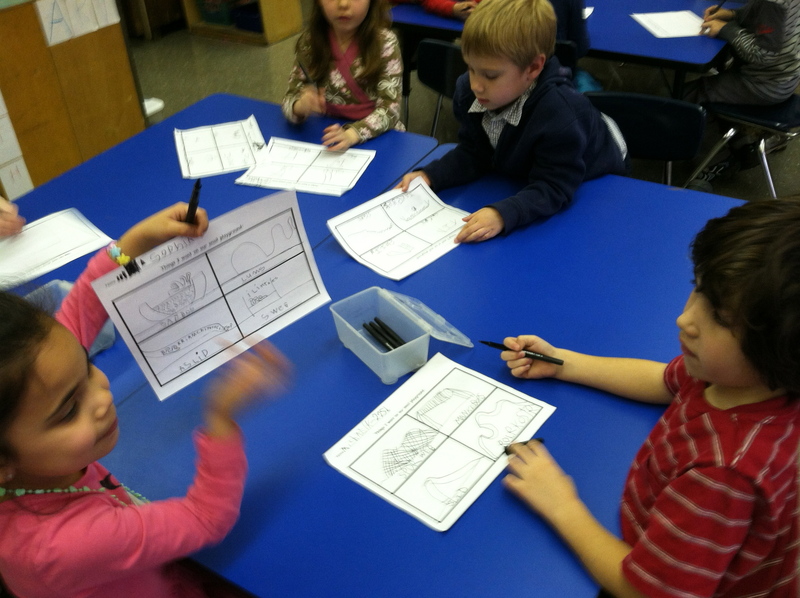 There should be many opportunities for whole-class and small group discussions on a variety of topics. These can be from teacher or child generated ideas. When we develop a classroom that encourages inquiry and exploration, we empower children, giving them skills they will use throughout their lives. When we plan Choice Time with this same philosophy and intent, we open up opportunities for helping children to grow socially and intellectually. This can occur when we encourage children to find ways of recording and sharing their discoveries at the sand table, write messages to each other in a class post office, label their art work, put up important signs by their block buildings, write a recipe for making playdough or make new jackets for their favorite storybooks. If children are making Valentine’s Day cards at a center, merely by attaching writing paper to the cards, we extend the activity in a way that says, “here’s where I will write my message.” If we celebrate, display and share the exciting moments and products of Choice Time play/work we’re sending to children, families and administration a loud and clear message about the importance that we place on exploration, inquiry and, yes, play, in the life of a five year old child! This entry was posted in Investigating Choice Time: Inquiry, Exploration, and Play and tagged block building, child-generated ideas, children with parents in jail, curriculum, doctor's office, high-standards kindergarten, king of hearts, playtime, read aloud, reading and writing workshop, social and emotional growth, teacher generated, word study on March 25, 2012 by Renee. If you are in New York City on March 10th, there’s a very exciting conference taking place at City College. There isn’t any charge for attending but you must first register. The widening gap in our society between children of low-income backgrounds their more affluent peers, along with new insights gained from an explosion of research in the neurobiological, behavioral, and social sciences, have captured the public’s attention about the importance of childhood and the need for high quality education. The means to achieving these goals, however, has recently focused on preparing children for school success primarily through an emphasis on standardized testing. This has been done at the expense of what research and educators’ experience tell us: Optimal learning results when the whole child is supported in his or her cultural context; when teaching fosters active engagement, is responsive to diverse cultures and languages, supports family involvement in learning, and develops not only cognitive skills but other human attributes such as curiosity, perseverance, empathy, flexibility, resilience, and social awareness. It is in the context of these issues that this conference addresses how educators and schools can nurture children in accordance with their developmental needs and teach them in the ways that they learn. Presenters will share effective practices and make recommendations for how school and societal challenges can be negotiated to create more effective and more equitable learning environments to enhance the life chances of our youngest citizens. Sponsoring organizations: The City College of New York’s Graduate Programs in Early Childhood Education, Psychology Department, Educational Theater Program, Colin Powell Center for Leadership and Service, Auxiliary Enterprise Corporation, Office of Student Services, New Educator journal, School of Education and School of Education’s Retired Faculty Association, and the Lillian Weber Fund. Supporting organizations: Alliance for Childhood, American Museum of Natural History, Bank Street College of Education, Child Care Council at CUNY, Child Development Institute at Sarah Lawrence College, City College Child Development Center, Community Playthings, Democracy Inquiry Group of New England, Manhattan Country School, New York City Early Childhood Professional Development Institute of CUNY, SciPlay Center of the New York Hall of Science, and the UFT Teacher Center. The Mutt-i-grees Curriculum is a comprehensive program that bridges humane education and Social and Emotional Learning (SEL), In a series of easily implemented lessons, the Mutt-I-grees Curriculum enhances children’s social and emotional skills and introduces them to Mutt-i-grees, a new term for shelter pets. Developed by the North Shore Animal League America, in collaboration with Yale University School of the 21st Century and TV’s Dog Whisperer Cesar Millan, the Curriculum has been implemented in hundreds of schools in 40 states. The workshop will include the research base on SEL, resiliency and human-animal interactions review of lessons and best practices, bringing a dog to class and findings of preliminary evaluations which show that curriculum outcomes include improved behavior and social skills among students and increased parent involvement. We will present a framework for planning that takes into account standards as well as principles of learner-centered education. This presentation explores the effects of modern social media, the “Race to Nowhere” phenomenon, and parental pressure on today’s children. Espa Sergiou, Deputy Director of Education Programs, Birch Family Services, Inc.
How do teachers learn how to document children’s learning? What are effective ways for teachers to use video to communicate with families? 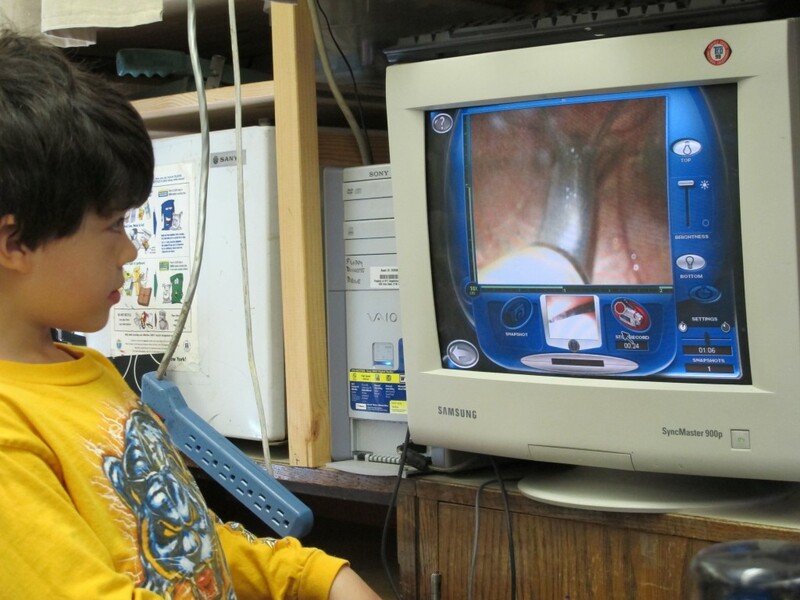 What practices can help teachers and caregivers gather documentation (e.g., photographs, video clips, samples of children’s work) and present these rich materials in engaging formats for different audiences, such as children, caregivers, and the larger community? Using examples from several unique settings, we will illustrate the processes that individuals use when documenting children’s learning, and how we can support those new to documentation practices in taking their first steps as documenters. The Finland Phenomenon: What’s Behind The Top International Ranking School System And What Does It Mean For U.S. School Systems? Finland’s school system is consistently at the top of international rankings for education systems. They were not always at the top of the rankings. How did they get there and how are they staying at the top? This workshop, through excerpts from the film: The Finland Phenomenon: Inside the World’s Most Surprising School System, explores some of the key features that define Finland’s approach to education and their applicability to the U.S. education system. The workshop will feature screening of the film When Learning Comes Naturally followed by discussion on the relationship between children and nature. This will be an interactive workshop based on an article by the same name published in Encounter Magazine. After a short philosophical presentation, participants will work in small groups to uncover how the forms of dance, theater, visual art, and music can inform their own pedagogy. In conclusion, participants will use art materials to create a piece of work that reflects their own tone of teaching. This workshop will focus on the path to early literacy development in young children, focusing on the drawing and storytelling that contribute to children’s beginning awareness and exploration of reading and writing. We will view together and discuss the film “From Pictures To Words”, made for The Learning Child Series, a collaboration of Sarah Lawrence College’s Child Development Institute and Jonathan Diamond Associates. Using the Prospect Descriptive Review of the Child developed by Patricia F. Carini and teachers at the Prospect School and Center, a student teacher (and her host teacher) will present a holistic non-judgmental portrayal of a child through the lens of the five headings of the Descriptive Review. Participants in this session will be active listeners and contributors, sharing thoughts in support of the presenting teachers with regard to the focus they bring to frame the review. This workshop will explore cutting-edge discoveries about creativity and learning, including Lois Holzman’s thesis that “without creating ZPDs there is no creativity.” We combine Vygotsky’s discoveries on the collective creation of Zones of Proximal Development (ZPDs) with techniques from theatrical improvisation. Come learn to play with these new tools and concepts as we collectively create our own ZPD. This presentation will discuss the long-term research showing the need for play-based learning (a combination of rich content offered in experiential ways, combined with child-initiated play) and how to develop it in an era of standards and testing. Children’s socio-dramatic play provides rich opportunities for teachers to scaffold and support children’s early literacy learning and language acquisition. Participants will learn practical strategies for building socio-dramatic play scenarios that support language learning through the Storypath approach. 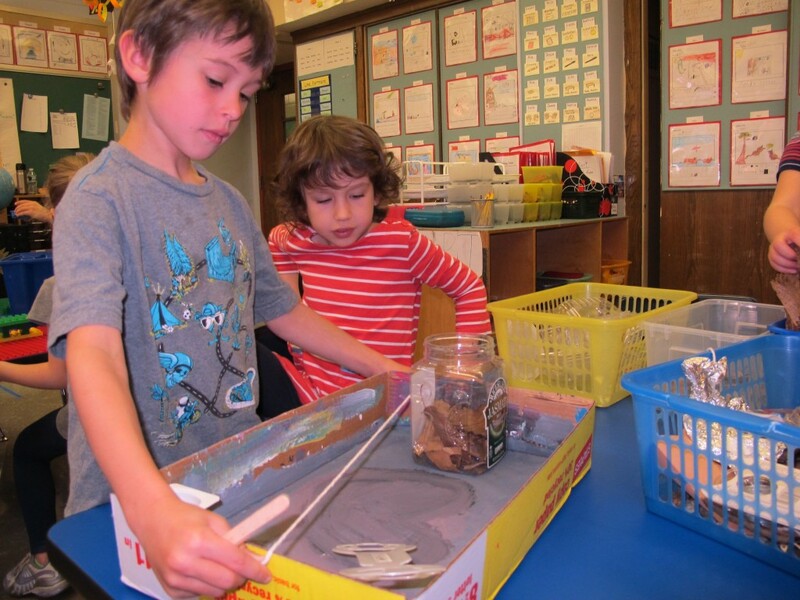 Using the elements of story, children are actively engaged in meaningful learning experiences using their imaginations while developing social and cultural understandings. This presentation will describe a collaboration between two teacher educators, one specializing in early childhood education and the other in environmental education, to help early childhood teacher education students learn how to plan and use out-of-school trips to reimagine how non-formal learning environments might be used in work with young children. 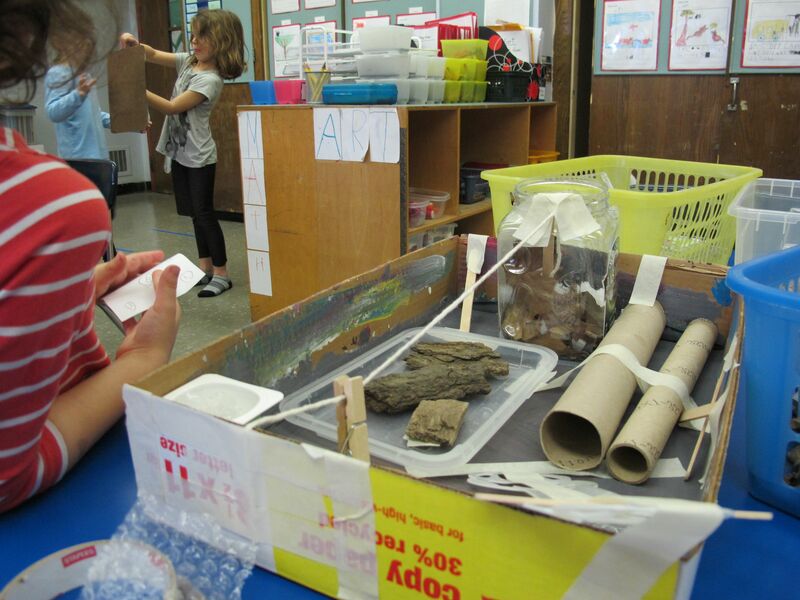 The presentation will include artifacts (including photographs of field experiences and student work) from visits to Brooklyn Children’s Museum, Central Park, and the Brooklyn Botanical Garden as well as related hands-on activities. This presentation will address the challenges (in light of the pressures from the drive for meeting standards in schools) of incorporating opportunities for play and exploration into afterschool programs rather than focusing on remediation during this important time of day. Participants will explore options and share knowledge of how to develop a “Playgroup” component for afterschool programs. This session will help participants understand the important role inquiry studies and choice time centers play in the lives of children. Video segments and photographs will be shared. This cross-cultural presentation provides images from early childhood schools in India, Singapore, Sri Lanka, Maldives and China: five countries that differ from each other racially, ethnically, linguistically, religiously, geographically, and politically. Highlighted are curriculum, activities and materials, the nature of children’s work, and the physical environments of schools and classrooms. My goal is to contextualize within the Asian culture such concepts as perceptions of play, the role of cultural beliefs and tradition in the curriculum, the nexus between play and learning, and the circumstantial challenges to a child-entered pedagogy. 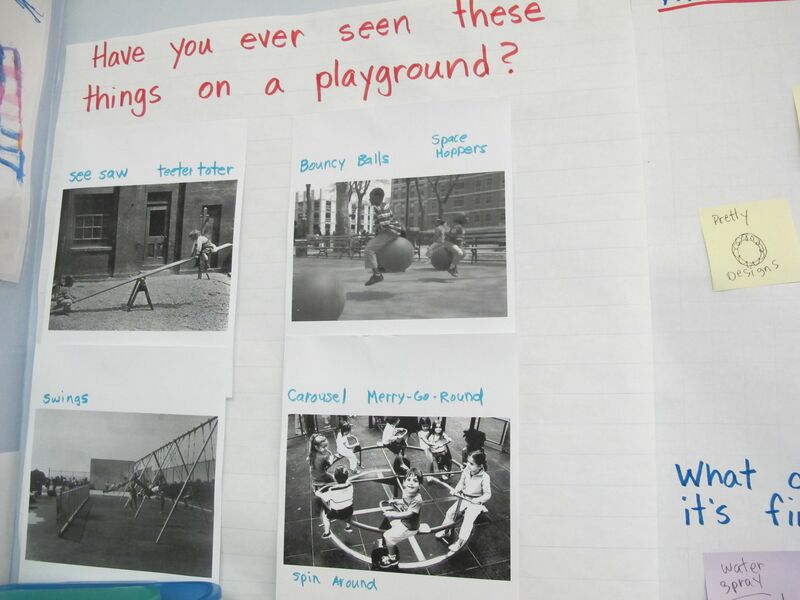 There are many different views of the merits and value of play in educational settings. 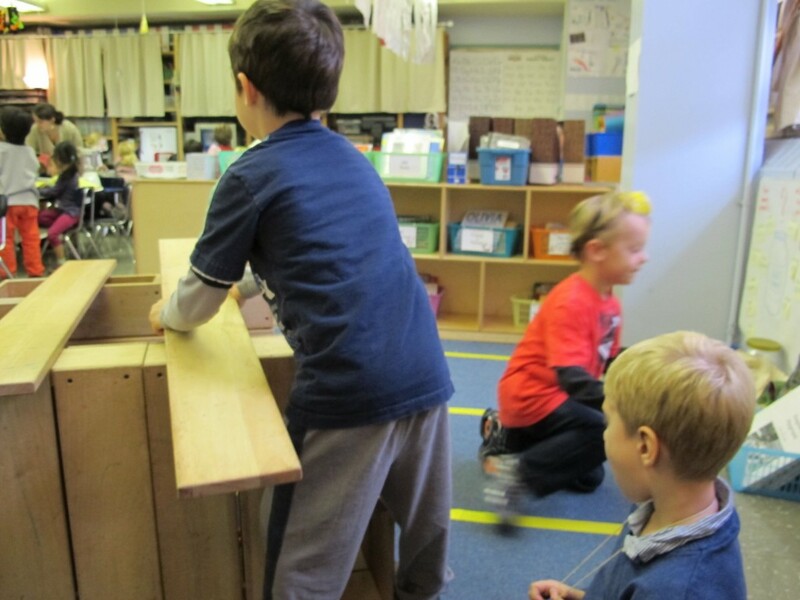 Early childhood educators, child development specialists, school administrators and even politicians cannot seem to agree on the role of play in the classroom, so how can we possibly expect parents to value play when there is such a lack of clarity? Most parents have strong feelings concerning play and childhood, which are often connected to their own cultural expectations of the roles of work and play in life. How can parents become our “allies” in our fight to keep play firmly grounded in early childhood classrooms and other educational settings? The Reggio Emilia approach to the education of young children that developed under the visionary leadership of Loris Malaguzzi has roots in the intellectual traditions of progressive education, constructivism, and the Italian postwar leftist politics. There are also important influences of history, culture, and traditions of participatory democracy involving an activist citizenry. The municipally funded infant/toddler and preschools were founded in 1963 and are renowned worldwide for their exemplary practices and philosophy of education. 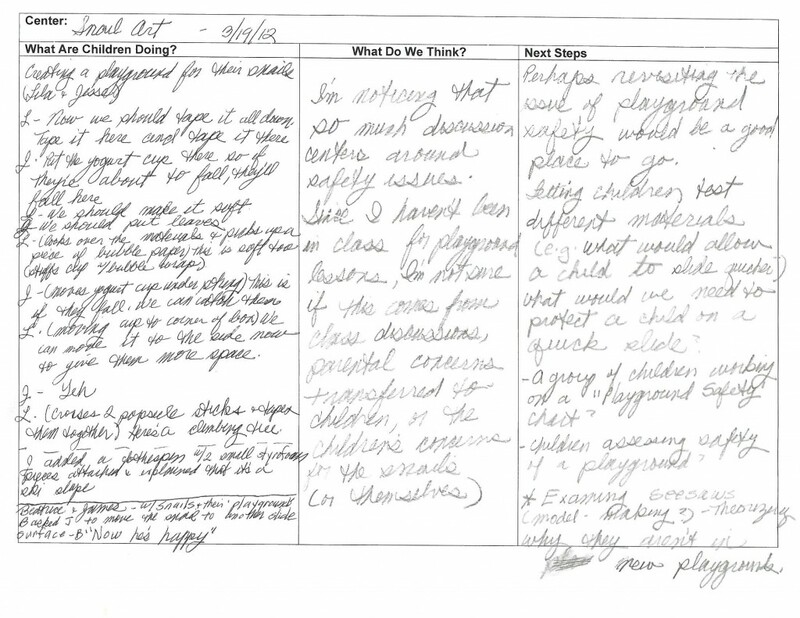 Most explanations of the so-called “Reggio Approach” touch on the image of the child, the role of expressive arts, projects, the environment, documentation, and teacher inquiry and collaboration. In addition to some brief history, this session will focus on images of life in the schools, and examples of publications and student work, to introduce participants to this thriving and dynamic community and the exemplary work they do on behalf of their youngest citizens. Over 30 cultural arts organizations representing the five art forms (theatre, dance, visual art, music and media) will be on hand to provide information and material on how to bring quality arts programming into your schools, communities and centers. With potentially hundreds of arts and cultural institutions in the city to choose from, how does a school go about finding the appropriate partner? This workshop will offer key questions to ask arts organizations, share the state mandate for arts education, and develop clear next steps in designing a quality arts program. The arts are a civil right and should be offered to all students, not just some students. As educators we must educate the whole child and the arts are one way to address our many diverse learners. Russell Granet, founder of Arts Education Resource (AER), will facilitate the workshop and discussion. Granet has over twenty years of experience working with NYC arts organizations and the NYC public schools. We will build and then “deconstruct” all of the rich learning that goes on through block building and the important role of the teacher. Block building will also be linked to the Common Core State Standards. (0-8 yrs). We will demonstrate how relationships, activities, and environments within a play-based classroom experience promote healthy brain development. The presentation involves a brief introduction to brain development and hands on exploration of materials. This presentation describes the progression of studies in two early childhood classrooms that simultaneously address district and state expectations while remaining developmentally-appropriate and exciting for children and teachers alike. The challenges involved in making this happen within the constraints of the public school system will be discussed. Strategies will be shared for how others can do this kind of work. This “voice-on” workshop is about singing in early childhood: joys, risks, classroom management aspects, curriculum implications, and the specific challenges for the song leader. Song sheets with guitar chords will be provided for all participants. ‘What’ and ‘how’ and ‘why’ are the beginnings of questions we have all asked of the world – and they are also the very same questions we can ignite over and over again – as we listen to the wonderments of the children we teach, and ask with them – indeed, journey with them through the playful delights of their knowing and imagining. This workshop is an invitation to partake in the spirited give and take of such questions, a reminder of the many visible and invisible poetries at the root of our desire, from childhood onwards, to simply ask a question. This session will be addressed to parents, teachers, and administrators who find themselves wondering about and working to make the case for the importance of imaginative play in all aspects of young children’s development. We will show the film “When a Child Pretends” and facilitate a discussion of the crucial role such play serves in and of itself and as preparation for later learning and growth. In this workshop, we will share best practices and lessons learned about new, innovative approaches to parks programming built around a culture of play. We will trace the evolution of programming at Battery Park City Parks and Friends of the High Line, focusing on nature and art as vehicles for imagination and open-ended exploration, and discuss the recent development of the Children’s Workyard Kit, a kit of open-ended play and building materials developed for the High Line by designer Cas Holman. Photographs, activities, and materials combined with discussion, interaction, and exchange with participants will be integral to this workshop. Participants in this workshop will design and build their own cars and learn how to get their students to think and act like engineers, scientists, writers and artists. This presentation explores how children’s literature documents and sustains the value of free play. Award-winning authors and illustrators like David Small, Zibby Oneal, Christopher Paul Curtis, and Erin Stead have been chosen because their picture books, chapter books, and young adult novels demonstrate how play histories of racial, gender and geographic difference translate into careers of creative production. This session focuses on the importance of involvement with nature for children’s development. It features a video screening and discussion of the benefits of children’s involvement with animal care and the similarities between children’s and animals’ need to play. Despite distinctions between the Nordic countries all five nations are in agreement about basic concepts that constitute “the good childhood”. These may be characterized as Democracy (as a lived experience in schools); Egalitarianism; Cooperation; and Freedom. We will explore these ideas and their implications for teachers of young children based on our experiences at a recent symposium on Nordic approaches to early childhood. This multimedia presentation features photo and video documentation of a 6 week experimental curriculum to have preschool students design their own classroom environment. 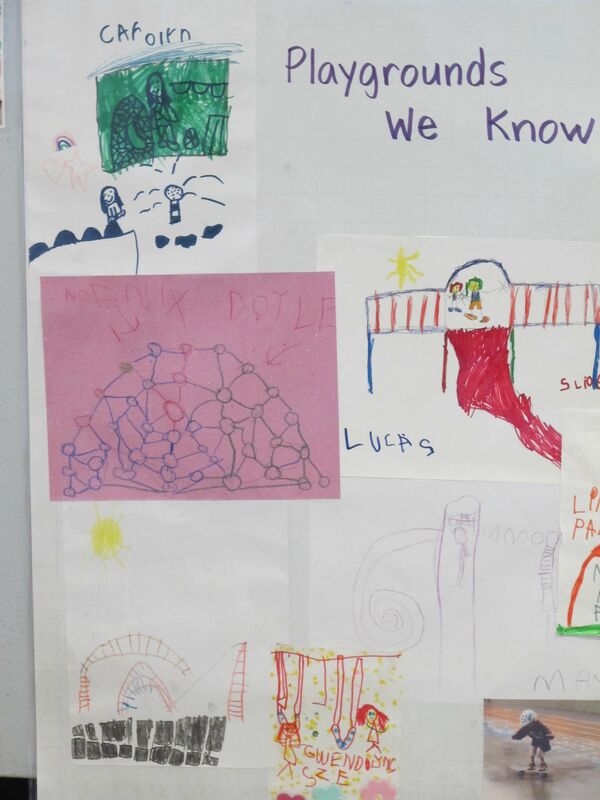 It features reflections on the experience by the students in their own words, a chance to play and interact with the specific materials used, and a brief review of some of the pedagogical thinking and planning principles that inspired us. This interactive session invites educators to discuss the book choices we implement for and encourage from our own students. Recognizing that a just-right book has great value, the session will begin with this focus; together we will consider what else needs to inform our ‘matchings’ of books and readers. Mollie Welsh Kruger, Reading and Literacy Program faculty, Bank Street College of Education. Teacher education candidates from different countries describe early learning environments in their home countries and discuss differences with child-centered pedagogies. This presentation describes a project with a community group in Bengaluru, India to elicit children’s perspectives on play and then design and create inclusive play spaces for “all” children (including children with special needs). This presentation will share research about the impact of the Common Core State Standards on preschool programs around the country. It will also discuss the new preschool standards that are now being created and adopted. This part of the presentation is an interactive opportunity – to play with objects from nature and to reflect on the value of imaginative play with the natural world. How to bring nature play into your classroom will be discussed. In the winter (Austral summer) of 2009-2010, Elise Engler spent two months in Antarctica as a recipient of a National Science Foundation Antarctica Artists and Writers Grant. Her work, through drawing, painting, video and photographs chronicles the entire experience from applying for the grant to time spent in two penguin colonies, at the main research base at McMurdo Station, in the Dry Valleys and at the Amundsen – Scott South Pole Station. Her blog, Elise on Ice, was followed by many, including elementary school students throughout NYC. She is currently working on a book and there are exhibitions starting later this year. This entry was posted in Investigating Choice Time: Inquiry, Exploration, and Play and tagged Defense of Childhood, joy of learning, preparing children for school success on March 4, 2012 by Renee.